When applying for a job in Connecticut, a stained police record can get in the way. Despite all the anti-discrimination laws in the state especially on employment opportunities, there is still a prejudice against those with a criminal past. This is torture for people who have a family to support since it would be difficult for them to provide for their family’s needs. The only way to stop this hassle is to remove the crime conviction or arrest from the record—and that is the role of sealing. Sealing, expungement, or annulment is done to remove a crime charge from public access. Though this does not destroy a record completely, companies and employers will not find it when they check the background of the applicant. However, the government and other legal authorities have still the access to it for legal records and purposes. There are different rules and regulations for annulment in every state. Therefore, those who want to expunge record in Connecticut should look for these rules first to see if they are qualified. That is when they can start going through the process. Not all criminal charges are eligible for annulment. In Connecticut, only those that have been dismissed, pardoned, nolled, decriminalized, or when the person is proven not guilty can be covered by annulment. However, those with mental illness, whether found guilty or not, are not eligible. Youth offenders, those who are below 21 years old and are charged, can be eligible for sealing. They can have all materials and other files erased that are associated to a case including files of arrest, complaints, and referrals. In addition, delinquent children who have been released from supervision of the Department of Children and Families or Supreme Court may also have their records sealed. To get a criminal charge annulled, a person has to go through a legal process. The usual way to do this is by going to a lawyer and having them work on it. Though this process is fine, affording this service can be difficult for many. This is especially true for those who cannot find a job because of their situation. Of course, a lawyer’s fee is not very affordable and this situation can make process more stressful to overcome. There is a good news for those who want to have their cases sealed. Now, they do not have to consult an attorney anymore and worry about expensive fees. The technology that is available today allows people to submit an annulment petition on their own. With a do-it-yourself sealing kit, individuals can process their application without spending much money. 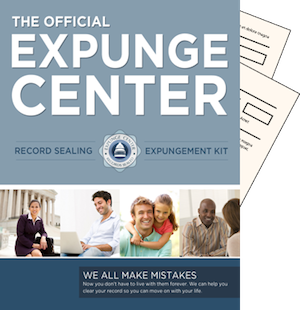 Expunge Center’s sealing kit is designed to help people seal their cases easier while using a cheaper means. This site understands how difficult it is to find a job and get back to a normal life when society sees a person as a criminal even when it is already a past issue. They also know that sealing can be expensive and not everyone can afford it. Therefore, this company has made the process more affordable and simpler. For those who want to annul criminal convictions, the first step that they need take is to find out if they are qualified. The Expunge Center has made this step easy. Visitors on their website can just click on the ‘See If You Qualify’ menu and answer some questions using a free 3-minute eligibility test. Once they are found eligible, they can go through the entire process. What makes this kit more practical is because applicants can get their money back if the petition is not successful. Having a do-it-yourself sealing kit makes the hope of getting a good job more accessible to everyone. By sealing criminal records, people can have a fair chance at landing a job. This also means that they can let go of the past and the past can let go of them as well.